The Congregational Library & Archives will be closed on Monday, May 29th in observance of Memorial Day. Don't miss this exploration of early American religious song, illustrated with live performances. Reserve your seat today. Join choral ensemble Norumbega Harmony for a noontime concert exploring the musical and cultural transformation of Congregational sacred music from the Revolutionary Era's stark psalm tunes and lively fuging tunes, pioneered by William Billings of Boston (1746-1800), to the European Romantic melodies and harmonies of the city's great music educator and church composer Lowell Mason (1792-1872). 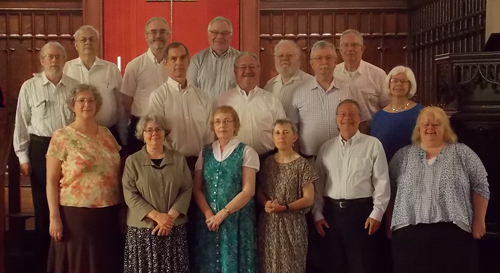 Learn more about Norumbega Harmony on their website. As an archivist, I will occasionally make site visits for potential new collections. While chances are good that I will be the one to eventually organize the records, there's no guarantee that the work will divide that way, with intern projects and more than one archivist on staff. However, when I went to Connecticut to visit the Rev. Dr. Davida Foy Crabtree about two years ago, I hoped that I would be the one who would organize her records. The reason why I felt so strongly about this collection is that it represents a side of our collection that I'm always eager to expand upon: that of recent history and a continuation of lesser heard voices. Rev. Crabtree has spent her life and career championing feminism and striving to even the playing field. She attended college during the height of the cultural movement of the late 1960s and early 1970s. A self-described trouble-maker who questioned authority and the status-quo, Crabtree became a member of the United Church of Christ's Executive Council by the age of 27. As a campus minister, she saw a need for a women's center and helped co-found and lead the Prudence Crandall Center for Women in New Britain, Connecticut in the mid-1970s. 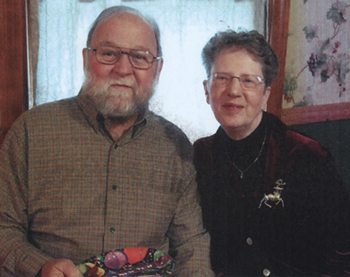 She served at Colchester's Federated Church before tackling Conference Minister for the UCC's Southern California and then returned to serve in her home state of Connecticut as Conference Minister until she retired in 2010. Researchers interested in studying the cultural shifts of the 1960s and 70s, who wish to explore women's roles as leaders within the United Church of Christ, will want to come visit and spend some time with this collection. Crabtree is a prolific writer who maintained and donated the personal writings that delve into reactions to the current events of the day that are so often never spoken of or expunged from earlier generations' work. The guide to this collection is now available on our website. We strongly encourage researchers to review this and to make an appointment before visiting. 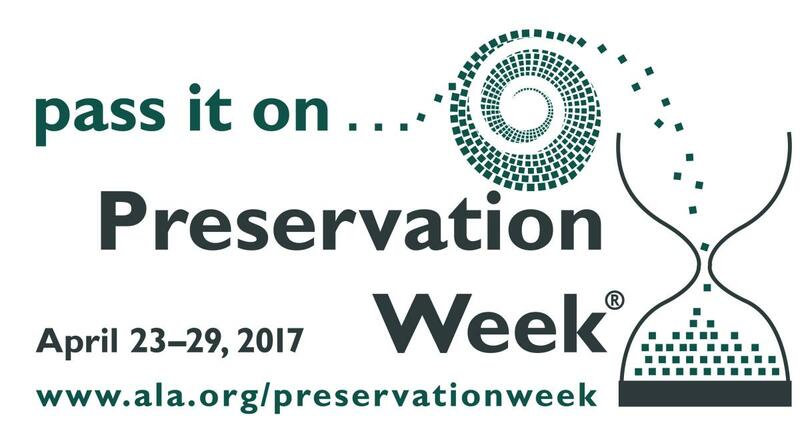 This is Preservation Week, hosted by the American Library Association. In honor of that, there is going to be a reprise of #AskAnArchivist day on Twitter tomorrow, Wednesday, April 26th. This is a great opportunity to get smart on how to care for and maintain your historically valuable items, no matter what their format: paper or digital! Our archivists, Jessica Steytler and Taylor McNeilly, will be following the hashtag and answering the questions. If any of our patrons or members have questions relating to preservation, send them our way! Our reading room will be closed to the public on Thursday, April 20th from 11:00 am to 2:00 pm for a meeting of the Advisory Circle, our friends of the library group. Staff will be on hand to answer questions by phone or email, and all of our online resources will be available as usual. By a coincidence of the calendar, the Congregational Library & Archives will be closed this coming Friday, April 14th for Good Friday and the following Monday, April 17th for Patriots' Day. All of our online resources will be available as usual. All of our online resources will be available as usual. If you have questions you would like to ask the staff, please send an email or leave a voicemail, and we'll get back to you when we return to the office on Tuesday. To those of you celebrating Easter this weekend, we wish you a safe and happy time. And best of luck to everyone participating in the 121st Boston Marathon on Monday. 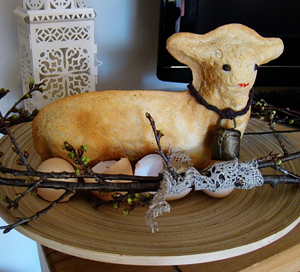 image of Easter lamb bread courtesy of Silar via Wikimedia Commons, released under a Creative Commons Attribution-Share Alike 3.0 Unported license. Did you know that we co-sponsor a research fellowship with our neighbors at the Boston Athenaeum? This fellowship supports research in American religious history involving the collections of the Boston Athenaeum and the Congregational Library & Archives. The award includes a stipend of $1,500 for a residency of twenty days (four weeks) and includes a year's membership to both institutions. Applicants must be U.S. citizens or foreign nationals holding the appropriate U.S. government documents. If you've been considering applying, the deadline is this Saturday. More details about this and other funding opportunities can be found on our Research Scholarships page. Reminder - History Matters Series: "Swinging, Blue-Jeans Religion"
There's still plenty of time to sign up for this month's free lunchtime lecture. It's bound to be a rockin' good time. Alongside the headlines, radio sermons, about the Beatle scare in the mid-1960s there was another story emerging. The so-called generation gap and the trouble with wayward youth riled conservative Christians from coast to coast. In response to worries about the widening generation gap, many evangelicals — as well as Catholics and some mainline Protestants — made peace with the form of rock music. The embrace of rock was not too out of the ordinary. Conservative Christianity proved remarkably elastic, as believers had long used nearly any means necessary to steady the faltering or save the unconverted. Billy Sunday, the most well-known fundamentalist preacher of the century, set the tone when he declared, "I'd stand on my head in a mud puddle if I thought it would help me win souls to Christ." 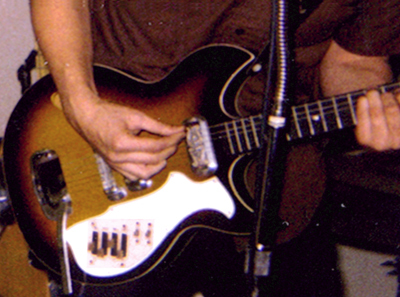 By the late 1960s folk masses and traditional songs geared to a young audience became commonplace. Billy Graham shared the stage with Christian rock acts in the early 1970s and penned a book about the Jesus generation, even using the slang of "hippiedom" in the process. He, like many other faithful, decided that the genre could be baptized for godly purposes. Baby boomers and their parents — many of them Pentecostals — played a critical role in crafting a lively, more changeable, and culturally engaged faith. For evangelicalism to thrive, so went the logic, it had to adjust to the times and accommodate the youth culture. The new openness to the counterculture inspired millions. 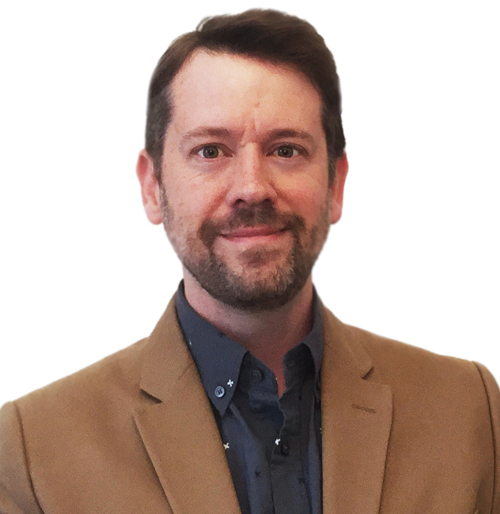 Randall Stephens is an Associate Professor and Reader in History and American Studies at Northumbria University, Newcastle Upon Tyne, UK. He is the author The Fire Spreads: Holiness and Pentecostalism in the American South (Harvard University Press, 2008); The Anointed: Evangelical Truth in a Secular Age, co-authored with physicist Karl Giberson (Belknap Press of Harvard University Press, 2011); and editor of Recent Themes in American Religious History (University of South Carolina Press, 2009). His current book project, The Devil's Music: Rock and Christianity Since the 1950s (under contract with Harvard University Press), will examine the relationship of rock music to American Christianity as well as the emergence of Christian Rock. Stephens has written for the Atlantic, Salon, Raw Story, the Wilson Quarterly, Books & Culture, Quartz, Christian Century, the Independent, the Chronicle of Higher Ed, and the New York Times. 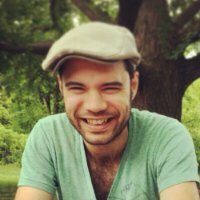 In 2012 he was a Fulbright Roving Scholar in American Studies in Norway. Seats are filling up. 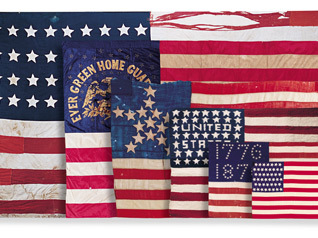 Don't forget to reserve yours for this week's free lunchtime discussion. William Goodell (the abolitionist) was a distant relative of William Goodell (the missionary to the Ottoman Empire) and Lucy Goodale. Like his relatives, William Goodell (the abolitionist) was deeply involved with the Congregational Church, which played a central role in the abolition of slavery in the United States. 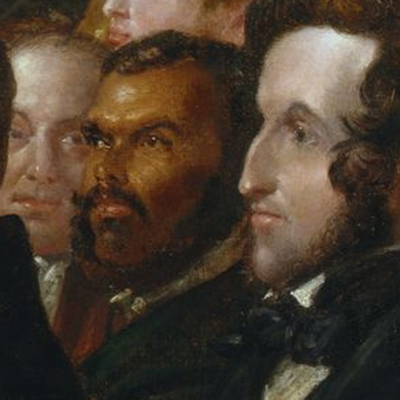 In 1833 Goodell founded the New York Anti-Slavery Society and the American Anti-Slavery Society. Over the next three decades, he devoted his life to the cause of destroying the sin of slavery (and incidentally, the sin of racism). His descendants continued this trend. Grandson, William Goodell Frost was the third president of the remarkable Berea College (motto: God has made of one blood all peoples of the earth). It was the first school in the south to be coeducational and racially integrated. Frost was at the forefront of struggles against the Jim Crow system in the South. It was Frost who confronted the Kentucky state legislature when it passed a bill in 1904 to segregate Berea College. Frost and the Berea College administration fought this bill all the way to the Supreme Court. Reminder - History Matters Series: "The Fabulous Irishman"
Don't let the snow keep you away. The sidewalks are being cleared, and there are still seats left for tomorrow's free lunchtime lecture. 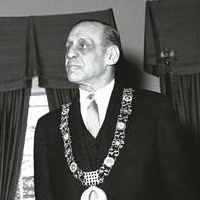 In the spring of 1957, the Jewish Lord Mayor of Dublin, Robert Briscoe, paid a visit to Boston, while on tour of the United States. A religious, Jewish, Irish mayor was an unexpected presence who represented much of what Cold War Americans hoped was possible in their own country: courageous patriotism from members of all parties of the Judeo-Christian tradition. Although little-remembered today, the visit of an Orthodox Jewish Irish mayor created much fanfare and presented a model of citizenship that resonated with Cold War Bostonians. 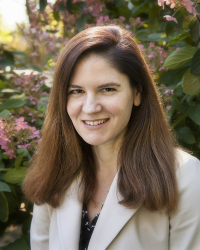 Rachel Gordan grew up outside of Boston and received her PhD in American religious history from Harvard and her bachelors from Yale College. She teaches American Jewish religion and culture at BU and Brandeis University and is working on a book about postwar American Judaism.